The internet has become part of our lives, and people are now familiar with broadband services. Modern products such as computers and mobile devices are what help people connect together via the internet. People can access the internet anywhere they go without any limitations. With mobile broadband, you can easily transfer, and receive, data through the web, just like the way you use home broadband services. The only difference is that mobile broadband makes use of cellular networks. The advantage a mobile broadband service has over the home broadband is that it allows you to carry your internet connection with you. You don’t have to stick to your work desk and stay indoors, before getting online to do your business. Mobile broadband gives you unlimited freedom, and access to connect to the internet, anywhere you find yourself. Internet developers are continually coming up with innovative ways to give people services that are extremely fast. Service providers usually offer access to the internet either through wireless mobile broadband (MiFi), USB dongle or SIM cards to provide for your internet needs. MiFi is a portable wireless device that can allow more than one user to connect to the internet, using just one mobile broadband connection. 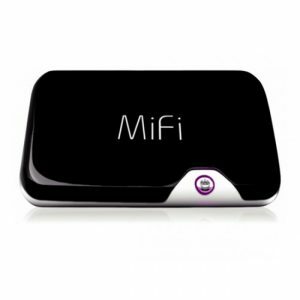 It is easy to create a Wi-Fi hotspot using this device, anytime you need it. It uses local signals, such as 3G or 4G networks, from mobile internet service providers. It is easy to set-up and doesn’t require any software installation before you can use it. Most MiFis come with data plans, that are offered as pay-as-you-go deals, monthly or yearly contracts. The 4G MiFi mobile broadband device has an internet speed of up to 60Mbps, which is generally considered to be the fastest of the three internet devices. MiFi offers plans large enough to support uploads, and downloads, of large files. This is a suitable internet option for laptops and netbooks. It is also referred to as an internet modem device, that can easily be plugged into the laptop to access the internet. It is a portable device that comes in a lipstick-size format and can go anywhere with you. Modems can connect to either 3G or 4G networks, and users can subscribe to short-term data plans and pay-as-you-go options. A SIM card is ideal for mobile phones and tablets. The internet service is supplied by cellular service providers, that allow users to tap into 3G or 4G broadband internet services. One can use these SIM cards on mobile devices like tablets, phones and iPads. The user typically subscribes to an internet plan to be able to access information on the web. They have very affordable plans that are suitable for students, professionals, families, as well as businesses. The plans usually offered by cellular service providers, ranging from pay-as-you-go plans, to weekly and monthly plans. The benefit of these SIM cards is that they provide broad coverage, and can be used anywhere you go. It is ideal as a substitute, in cases where you find yourself in a place where no Wi-Fi is available. There are many options available to connect to the internet, irrespective of your location. You can choose any of these mediums to access the internet, depending on your income, and what you need it for.